A new song by Avicii has been released, a year after the Swedish DJ’s death. “SOS”, unveiled on Wednesday, is the first excerpt from the forthcoming posthumous album TIM, which will come out on 6 June. Avicii (real name Tim Bergling) died on 20 April, 2018. The song features singer Aloe Blacc, who also appears on Avicii’s global hit “Wake Me Up”. “Thank you, Tim. Today we share your creativity with the world once again. I’m honoured to have worked with you and I promise to carry on your legacy through our songs,” the singer tweeted on Wednesday as the song was released. Avicii’s family announced last week that they had decided to publish a posthumous album by the DJ in June. 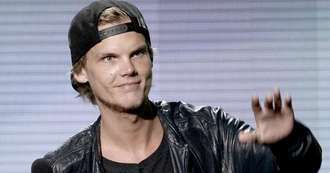 “Since Tim’s passing, the family decided not to keep the music locked away – instead they wanted to share it with his fans all around the world,” Avicii’s relatives said in a statement. The net proceeds from the album sales will benefit the non-profit Tim Bergling Foundation, launched by Avicii’s family to serve several causes, including mental illness awareness and suicide prevention.